topped off with slightly sweet spicy sauce and sesame oil. The sauce is house made; Mr. Kang’s original recipe! It really makes the difference. Come and give it a taste! A great option for those who want to explore new tastes! A line of short ribs grilled fresh to order. Smokey and savoury with a perfect char. A fresh kick of pineapple with buttery avocado and sweet pepper. The ribs aren't just a garnish, try nibbling on them! They are delicious! Treat the family for Dine-In or Take-out with Oyaji! Our menu caters to everyone in the family. The family is about to enjoy a Medium Combo Boat. 🐤 Chloe is munching on Galbi (Korean bbq ribs). 🐱 Ellie is about to try her new kid’s meal! 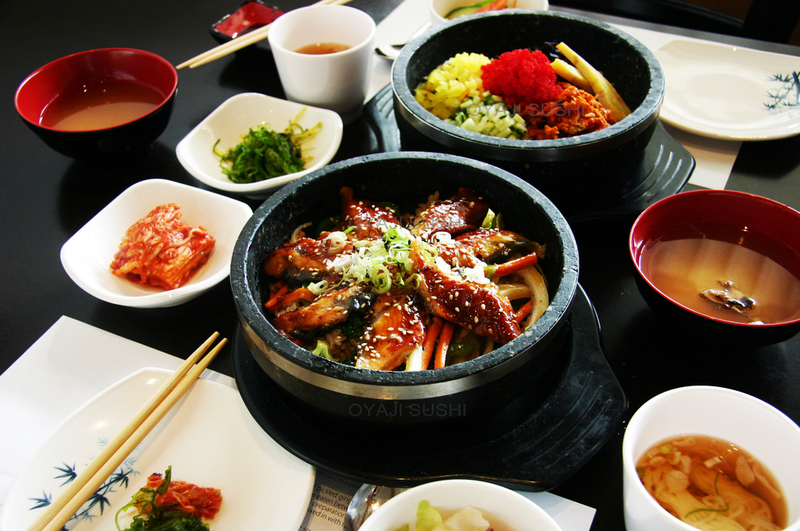 Oyaji opened in November 2014 and is located in the Village of Richmond Hill. After nearly 2 decades in North York as Sapporo Sushi, Mr. and Mrs. Kang have begun a new chapter in Richmond Hill as Oyaji Sushi. 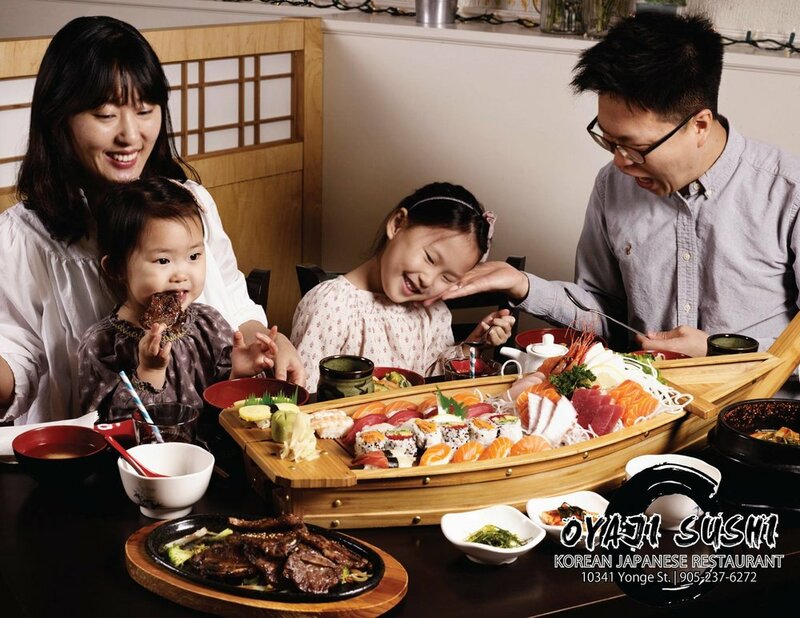 As parents whose priority is always family, the Kangs hope for Oyaji to be a place for your family to enjoy the blessing of good food and good company. 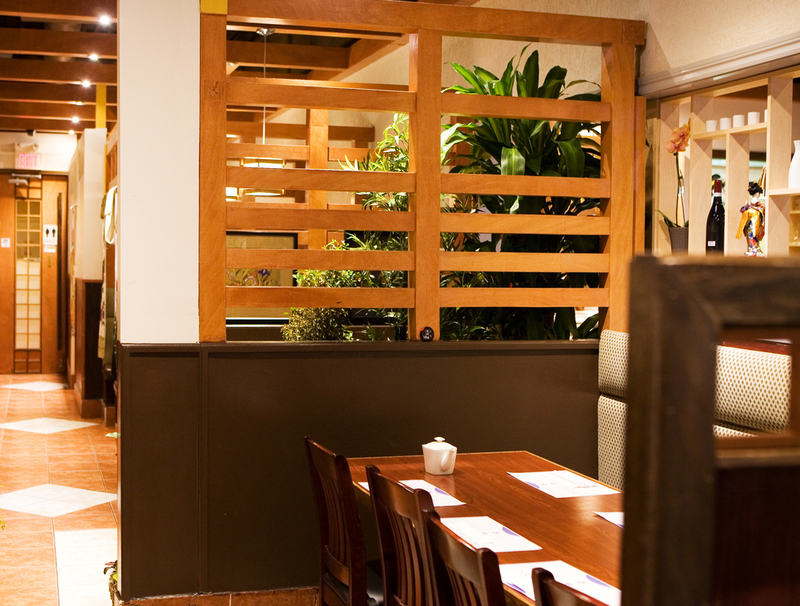 Oyaji's warm interior offers guests the option to dine in (whether you're visiting for 1 or for 16). We encourage guests to take advantage of the free parking or the close-by transit stop at Crosby Ave & Yonge. For those on the go, there's take-out. Deliveries are temporarily unavailable due to staff changes. If you need delivery for a scheduled catering, we will try to work something out! One of our neighbors is Women's Fitness. Please click links below to view our Menus in PDF format. Get to know the team, take a virtual tour, keep up to date with any promotions or news, and maybe some sneaks behind the scenes.